NPR Music announced the return of its popular Tiny Desk Contest. Over the last three years, the contest has received more than 18,000 entries and led to breakout artist discoveries like Fantastic Negrito, Gaelynn Lea and Tank and the Bangas. These Tiny Desk Contest winners have gone on to perform for sold-out crowds around the world, and one even picked up a GRAMMY Award. Unsigned bands and musicians can submit videos starting on Tuesday, February 20, 2018 through Sunday, March 25 at 11:59 p.m. ET at NPR.org/tinydeskcontest. Please see website for official rules. "This contest is a window into emerging talent across the country," adds Bob Boilen, creator of the Tiny Desk concert series and host of All Songs Considered. "It's our peek into the future of music and we can't wait to share it." 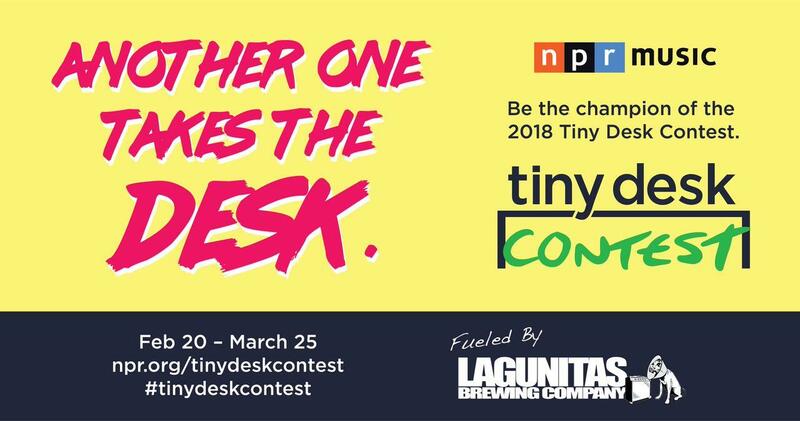 For the fourth year, Lagunitas Brewing Company has provided exclusive support for the Tiny Desk Contest. 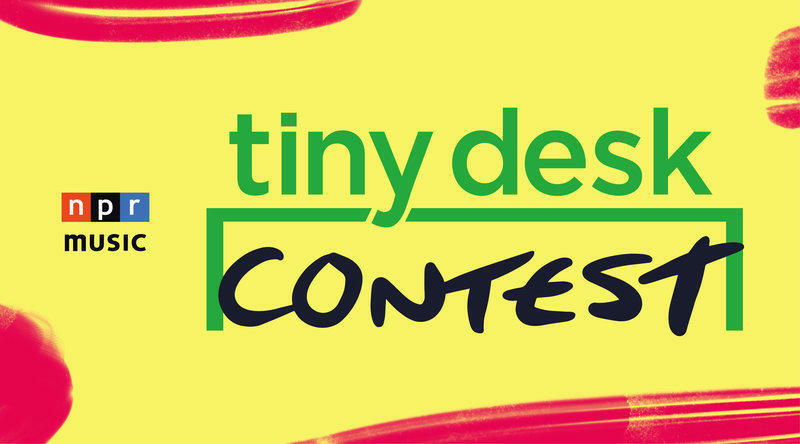 The contest's top prize includes a performance at the iconic Tiny Desk space at NPR's Washington, D.C., HQ. The winner will perform at a live taping of NPR's Ask Me Another and will also join the Tiny Desk Contest On The Road live event series alongside NPR Music, NPR Member stations and Lagunitas. The event series, in partnership with NPR Member stations, includes stops at Lagunitas Taprooms in Chicago, IL (WBEZ) and Petaluma, CA (KQED, KRCB) and at venues in Seattle, WA (KEXP); New York, NY (WFUV); Philadelphia, PA (WXPN); Denver, CO (Colorado Public Radio, KUNC); Minneapolis, MN (The Current) and Washington, DC (WAMU). New this year, NPR Music is proud to introduce Tiny Desk Contest master classes which will kick off in late summer. These workshop-style sessions will focus on a variety of subjects and skills that will help artists and fans better understand how to succeed in the music industry. Topics may include songwriting and recording to band management and will be led by music experts. This year, NPR Music has again chosen legendary Tiny Desk alumni to judge the contest. Melodic pop duo Sylvan Esso and genre-smashing singer-songwriter Gaby Moreno will be reviewing submissions to find artists they love. They'll be joined by Tarriona "Tank" Ball of 2017 Tiny Desk Contest winner Tank and the Bangas. The judging panel is rounded out by three NPR Member station hosts including New York City's WFUV Music Director Russ Borris, World Cafe host Talia Schlanger from WXPN in Philadelphia, and hip-hop DJ and musician Toki Wright of The Current in Minneapolis. NPR Music's Bob Boilen, host and creator of All Songs Considered, returns for his fourth year as a judge. He's joined by All Songs producer and co-host Robin Hilton. Though there is only one grand winner each year, submitting artists benefit from joining the Tiny Desk Contest community — whether they're featured on NPR Music's All Songs Considered blog, a Tiny Desk supercut video, a Tiny Desk Contest On The Road live event stop, or even a Tiny Desk concert down the line. Musicians interested in entering NPR Music's 2018 Tiny Desk Contest must play one original song at a desk (any desk - get creative), upload a video of the performance to YouTube and submit with the entry form at NPR.org/tinydeskcontest. NPR Music welcomes music from all genres, and entrants from previous years are encouraged to submit again with new material. Artists must be at least 21 years old and live in the 50 United States or the District of Columbia to enter. The winning artist(s) must be available to travel to Washington, D.C., between May 7-9 to record their Tiny Desk performance at NPR Headquarters and able to go on tour in spring 2018. Please see complete rules for entry. Since its launch in 2008, nearly 700 performances have been recorded at the Tiny Desk—Boilen's festive workspace at NPR Headquarters, adorned with years of music mementos and memorabilia. The series has provided a stage for artists from across the genre spectrum and at every phase of their careers — pop balladeer Adele, R&B sensation T-Pain, hip-hop star Chance the Rapper, country singer Maren Morris, astounding pianist and composer Daniil Trifonov, veteran jazz percussionist Nate Smith and even actor (and talented banjo player) Steve Martin.